Inviting users to vScope will allow you to make better use of all the collaboration features included in vScope Core. 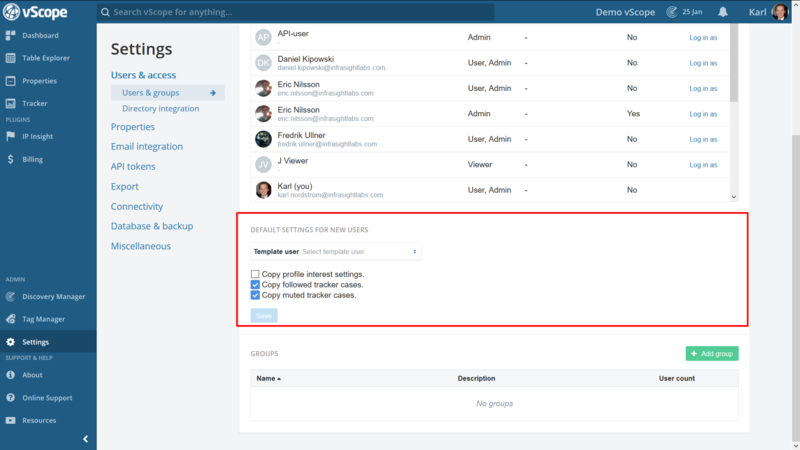 You can either add users manually under the settings page or reusing domain accounts by integrating vScope with your directory service. 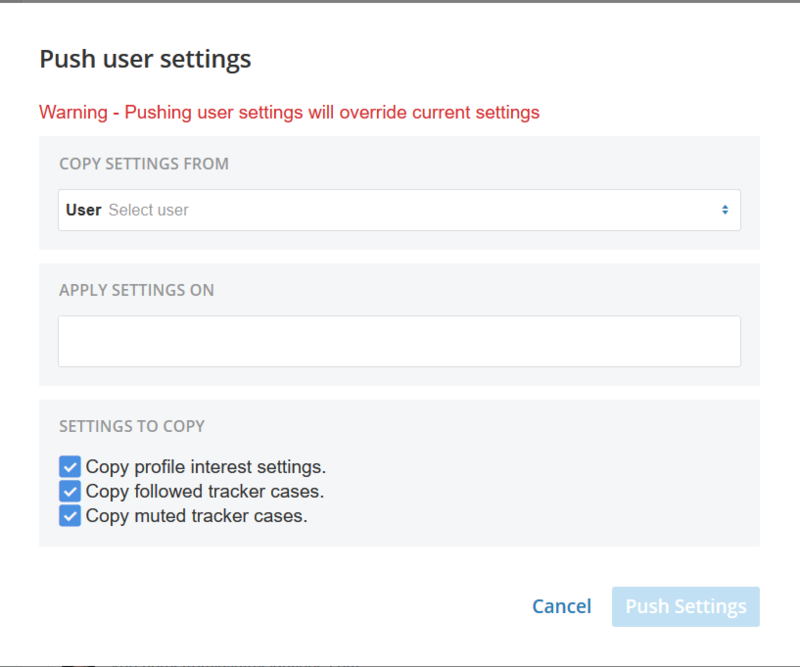 From the settings page in vScope you can access the “Push user settings”-button under Users & Groups. Notice: Pushing user settings will override the current settings of the user. In the bottom of the Users & Groups section you have the option to set a “default user” that will be the baseline for every new user created/added to vScope. This applies both for new users added manually in vScope or those that will created from the directory integration.